Organizations expect IoT to have value for them, but they still need to improve on certain capabilities. 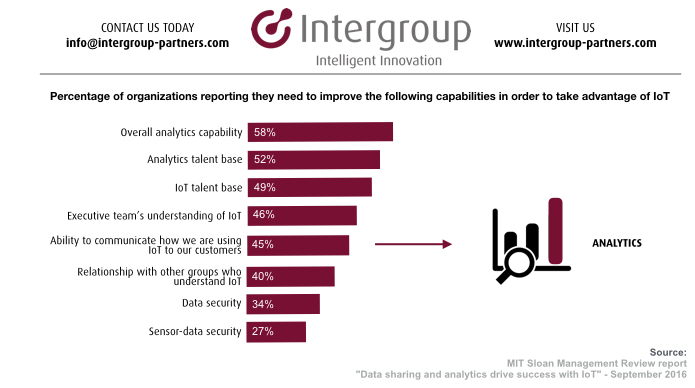 As shown in the above graphic, analytics, talent, data sharing and security are the top capabilities companies feel they are currently lacking. As IoT continues to expand, there will be an inevitable talent shortage. If companies do not invest time and effort now to increase their team’s competencies, many are going to fall behind in the innovation race.